Tonight I made an old favorite recipe from Food & Wine (@FandW). 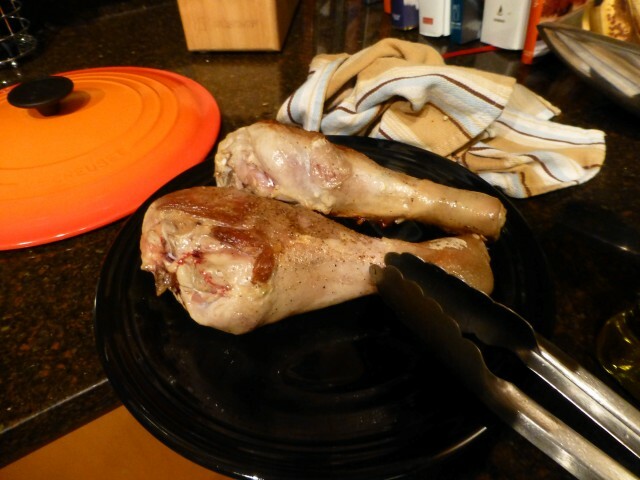 These Beer-Braised Turkey Leg Tacos were first published in May of 2010. I’ve made this recipe several times now and it gets better and better each time. I won’t rehash the recipe here, as you can click over to Food and Wine and get the full recipe, but I will tell you that once you try this recipe, you’ll fall in love with it. 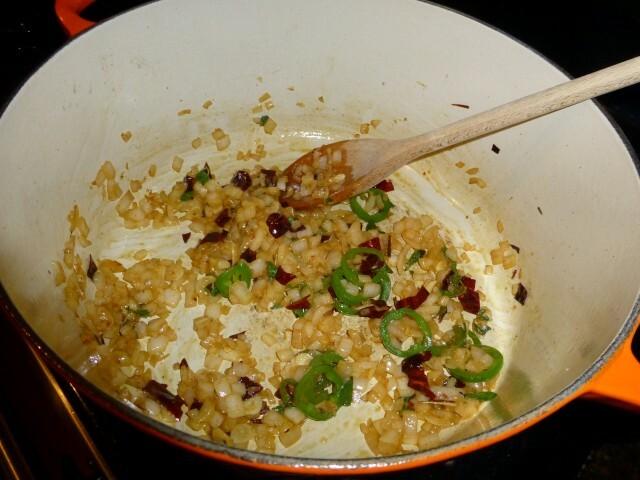 The sauce has a great depth of flavor and a nice little zing from the jalapeno and the ancho chili. When I make this, I throw in three tomatoes instead of just the one called for in the recipe. 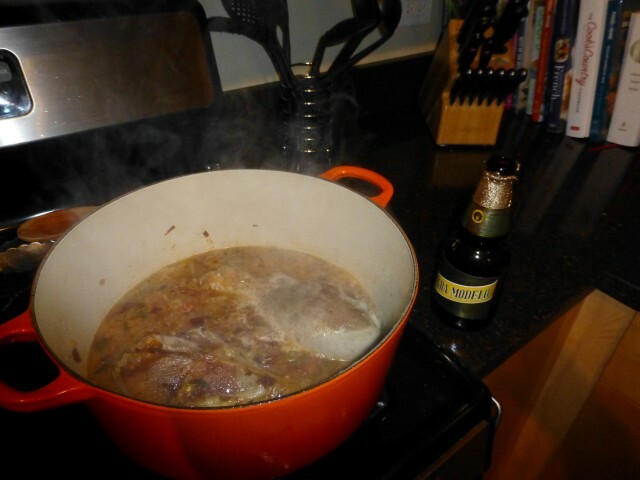 Modelo braising liquid. The smell is so amazing. into my mouth one big scoop at a time. a corn tortilla and some freshly grated cheese. We find this recipe makes 8 tacos – a nice portion for a dinner for two. The recipe is very easy to double as well (even though I consistently struggle with halving or doubling recipes). 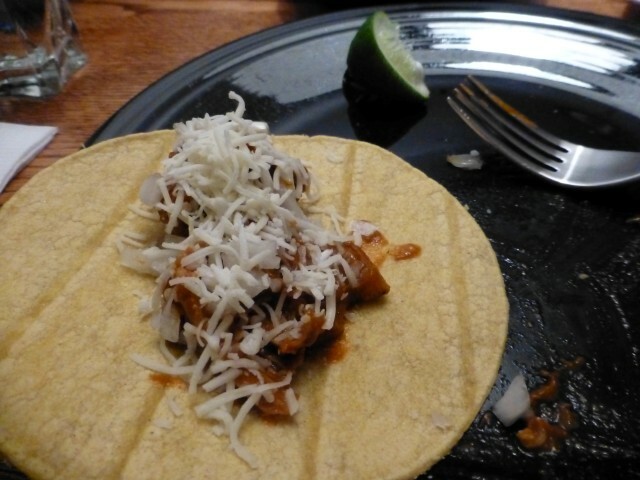 I top these great tacos with fresh cheese, a squirt of lime juice and diced onions. Usually I put tomatoes or pico de gallo on all tacos, but it’s not needed here at all. Of course, your foundation must be fresh corn tortillas. 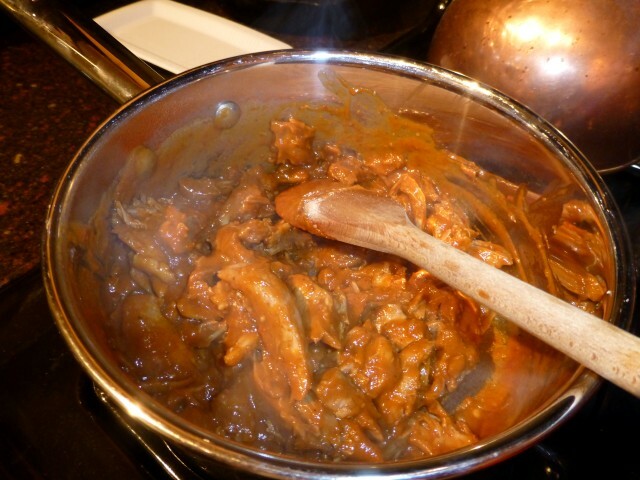 Give this recipe a try and let me know what you think. What is your favorite taco recipe? By Tim in Food on January 13, 2013 .